We seek support to enable us to learn more traditional and contemporary Japanese Taiko drumming from masters. We will then perform and showcase at our joint concert with them on Sat 29/06/19. We are staging a concert involving the performance of traditional and modern Taiko drumming pieces aimed at exposing the wider community to this ancient Japanese form of percussion music. During the 1900’s, Taiko drumming became a musical art form that involved a music ensemble and tightly choreographed movements. Taiko playing is loud, hard, and fast, and involves a lot of choreographed movement which many identify with Japanese martial arts. The aim is to achieve what it is called the ultimate expression of taiko, when the art becomes a part of the player’s personality, a way of being and life expression. 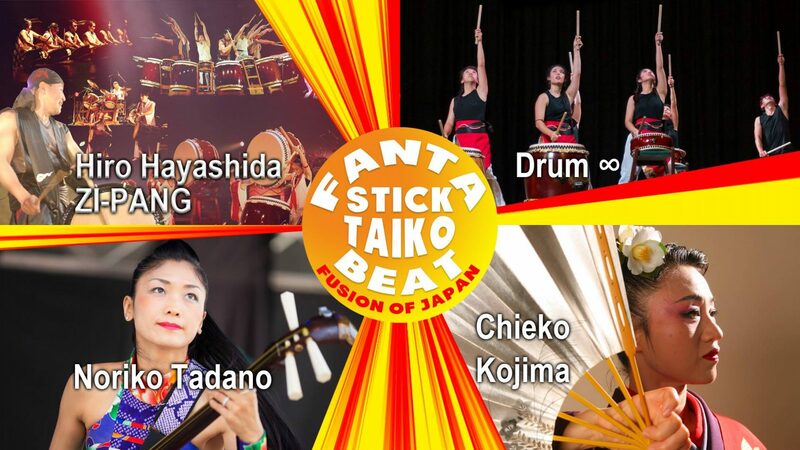 The concert’s main attraction will be the joint performance of Taiko Master Hiro Hayashida and his team ZI-PANG together with Drum Infinity Mugendai Inc. The concert will allow the public to gain an understanding and appreciation of this unique art form as explained above. The public will have an opportunity to learn hands-on through workshops conducted by Hiro Hayashida. There are no Taiko masters in Australia. So lack of access to these professional Taiko performers is VERY limited and to learn and witness their Taiko drumming skills, we need to invite these masters from Japan but funding for these opportunities is extremely difficult. Drum Infinity Mugendai Inc members work tirelessly as volunteers. Learning these skills from them and continuing to perform in Australia so we can showcase taiko drumming you will not have seen in Australia. 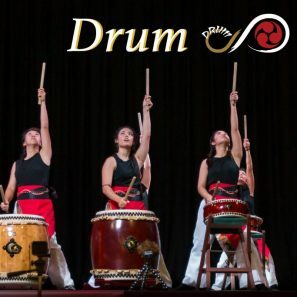 This project is important because Drum Infinity Mugendai Inc members will learn, showcase and give an opportunity to the public to learn about Taiko drumming and Japanese traditional dance which is not easily accessible in rural and regional Australia. Donations will serve to cover the costs of travel expenses of those masters (total of 6 people) who will come from Japan and a part of their professional fee, such as partially paying for copyrights to perform their music pieces. Also to cover the cost of the public workshop (venue fee, a part of master’s professional fee, and advertisement cost). Not only do our gifted members and public experience the joy of REAL Taiko drumming, but they come in contact with professional musicians. Sat 29/06/2019, we will perform with the masters at Tanks Art Centre. Before the show, Drum Infinity Mugendai Inc members will receive extensive lessons and rehearsals. The public Taiko drumming and Japanese Dance workshop will held after the show Sun 30/06 onward. Drum ∞ (Infinity Mugendai Inc) is a not-for-profit Japanese Drum Taiko and percussion team, established in May 2016 Queensland Australia. ∞ call “Mugendai”=”Infinity”. We have been actively performed TEDxJCU, Cairns Taipans pre and half game, Cairns Festival, Multicultural Festival, Greek festival and Festival 2018 for Commonwealth Game. We have participated All Australian Wadaiko Festival 2018 in Melbourne Victoria.